Our flagship product, AnyLogic, is the standard in multimethod modeling technology which equates to increased efficiency and less risk when tackling complex business challenges. This unmatched flexibility is found in all AnyLogic products allowing users to capture the complexity of virtually any system, at any level of detail, and gain a deeper insight into interdependent processes inside and around an organization. We enjoy developing best in class technologies to help our customers and partners solve the business problems they are facing . AnyLogic products are utilized world-wide in thousands of commercial organizations and academic institutions, and in over 40% of Fortune 100 Companies. Decision making in industry continues to become more complicated. Customers are more demanding as competition is fierce and costs for labor and materials continue to rise. Managers need state-of-the-art tools to help in planning, design, and operations. The AutoMod and AutoSched AP simulation products are the only simulation products on the market that provide the accuracy, scalability and performance necessary to model the most complex systems. The next evolution of simulation products are in progress ensuring that it will meet the needs of the simulation market for years to come. These advances have made AutoMod and AutoSched AP the most widely used simulation packages for material handling analyses and semiconductor modeling. The AutoMod and AutoSched AP product suite from Applied Materials has been used on thousands of projects empowering engineers and managers to make the best decisions. The power lies in its performance, scalability and accuracy in detailed modeling of large and complex manufacturing, distribution, automation and logistic operations, leaving the competition behind. We will be featuring three products or services: (1) simulation modeling and applied statistics short courses, which have been presented more than 575 times in 20 countries; (2) the 5th edition of the book Simulation Modeling and Analysis by Averill M. Law, with 165,000 copies in print and 17,500 citations; and (3) the ExpertFit distribution-fitting software, with more than 3000 user organizations worldwide. CSPI is the world’s premier solution provider devoted to dispatching, scheduling, and forecasting for high-tech industries including semiconductor, display panel, and PCB manufacturing. The solution (ezDFS) has successfully been implemented at the leading semiconductor companies located at China, Japan, Korea, and USA. ExtendSim is not your ordinary simulation tool. It has been an advisor to production line workers as well as world leaders; a pioneer in combating hunger through the creation of higher yielding grains; a cancer fighter tracking tiny nanorobots through a bloodstream to seek out tumors; and an environmental advocate establishing a standard for the development of new energetic materials. What kind of challenge do you have for ExtendSim? If it’s extra-ordinary or even if it is ordinary, ExtendSim can do it. FlexSim is excited to showcase FlexSim 2018, the latest entry in our flagship simulation modeling software, at the Winter Simulation Conference. For the past year, we’ve continued to innovate and develop the most capable and easy-to-use simulation solutions available. Join us for actual examples of how FlexSim has been used to solve problems in manufacturing, healthcare, and logistics, and to experience simulation through state-of-the-art virtual reality technology with immersive touch controls. We’d love to show you how FlexSim is the right fit for your simulation needs. IISE is the leading provider of cutting-edge industrial engineering continuing education, and the source of productivity improvement information via the Internet, publications and live events, including an annual conference, topical conferences, technical seminars and webinars. IISE is an invaluable source of member benefits that include a magazine, professional development programs, an online career center, social networks, industry-and discipline-specific societies and divisions, chapters and affinity programs. MathWorks The MATLAB and Simulink product families are fundamental applied math and computational tools adopted by more than 5000 universities and colleges. MathWorks products help prepare students for careers in industry, where the tools are widely used for data analysis, mathematical modeling, and algorithm development in collaborative research and new product development. MOSIMTEC is a leading modeling and simulation consulting firm assisting clients in making better decisions through the application of advanced decision support tools. The MOSIMTEC team has extensive experience working with best-in-class computer simulation software. MOSIMTEC helps predict outcomes, prescribe actions, and improve operations for clients across various industries. Stop by the MOSIMTEC booth to learn more about our work, our growth, and how we can help make informed decisions. 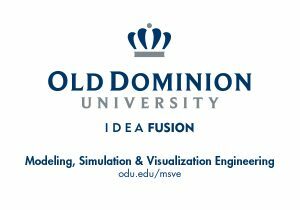 The Department of Modeling, Simulation and Visualization Engineering offers an undergraduate four-year program leading to the Bachelor of Science in Modeling and Simulation Engineering. The program is accredited by the Engineering Accreditation Commission (EAC) of ABET. Contact Rick McKenzie at rdmckenz@odu.edu. Proplanner is the leader of PLM-MDM (Manufacturing Data Management for the Product Lifecycle) solutions, focusing on streamlining the release of new product introductions and product updates for assembly plants. Our products import the eBOM and ECOs to integrate and author the mBOMs, process routings, tooling requirements, plant layouts, work instructions and in-plant logistics data necessary to produce complicated assemblies in many variants. Once optimized and reconciled, Proplanner can then automatically export all of this time-phased information to ERP systems such as SAP, Oracle, Mapics and JD Edwards for rapid, accurate, and optimally-engineered production release. Proplanner solutions are used by manufacturers around the world in the automotive, recreational vehicle, aerospace, agriculture and construction, military, white goods, highway vehicles, electrical equipement, medical device, and academic industries. Proplanner offers products to engineer and manage the manufacturing process and plant, as well as engineer and execute the in-plant logistics system. Assembly Planner is used to estimate activity and operation times, balance work across the assembly line considering many factors, generate and deploy shop floor instructions, and publish mBOMs and Routings to ERP. PFEP is an application used to define the placement, containerization, and replenishment of materials in stations along the assembly line; Flow Planner is used to evaluate layout and material handling resource allocation; and eKanban and eKitting electronically execute materials replenishment. The integration of these applications provide a full solution from eBOM to production deployment. Prior to founding Proplanner in 2002, Dr. David Sly founded Cimtechnologies Corporation in 1987 around his master’s thesis (FactoryFLOW). FactoryFLOW was the first AutoCAD-based factory layout and material flow analysis application. Subsequently, the company developed a suite of other plant layout applications, including FactoryCAD and FactoryPLAN. These applications are now owned by Siemens PLM, who continues to sell those products today. Dr. Sly and Proplanner have since continually focused on developing a suite of integrated plant and process engineering applications that leverage the latest technologies. PTV Group plans and optimizes everything that moves people and goods worldwide – whether it’s transport routes, distribution structures, or private and public transport – all integrated, and in real-time. PTV America, Inc. is the North American subsidiary of PTV Group. We help cities, companies, and people, save both time and money. We’re leaders in delivering and supporting innovative transportation and logistics solutions, and for the application of our state-of-the-art transportation software. Our main focus is to provide expertise in transportation planning, traffic operations, traffic engineering, routing, mapping and optimization for our customers. Arena is the world’s most widely used discrete event simulation software. Arena enables organizations to enhance operational efficiency and reliability by modeling their business processes. Companies can test and evaluate process improvement options before implementing them in actual operation. The end result is increased throughput, better use of personnel and resources and shorter processing times resulting in higher profitability. Arena is taught in more than 900 universities and is used by companies around the world, including the majority of the Fortune 100 companies. SAS Simulation Studio provides you an intuitive graphical environment for building, executing, and analyzing the results from discrete-event simulation models. You can easily model stationary and mobile resources, precisely control entity preemption, use external data in your models, and control how simulated data are created and saved. You can also integrate SAS Simulation Studio with other SAS analytics, including embedding SAS programs in simulation models and performing interactive experimental design, input analysis, and output analysis. SCS is the world’s premier professional society devoted to modeling and simulation (M&S). Through our quality journals, JDMS and SIMUATION, and our international conferences, we serve M&S professionals from around the world. Our membership includes individuals from industry, government, and academia whose interests span all aspects of M&S.You can also integrate SAS Simulation Studio with other SAS analytics, including embedding SAS programs in simulation models and performing interactive experimental design, input analysis, and output analysis. Simio Simulation and Scheduling Software is the most advanced solution on the market. With simulation, it is the only software that is fully object oriented with process and objects being defined graphically with no programming. Unlike other scheduling software, Simio allows you to introduce risk into your production schedule with its patented Risk Based Planning and Scheduling. This dual function in Simio not only helps you improve your business performance from a facility design perspective, but also helps you maximize business results by optimizing the use of critical resources and assessing the risk associated with operational decisions. From strategic to operational, SIMUL8’s powerful simulation software can handle as much complexity as you need it to, meaning you get the results you need to make decisions fast. SIMUL8’s powerful solutions have already helped global industry leaders transform their organizations and achieve higher levels of performance. From single user licenses to application development frameworks, we have the simulation product to fit your needs.